Over the past 60 years, the shape of the Canadian household has changed. Only 1.8 per cent of Canadians over the age of 15 lived alone in 1951, compared with 13.9 per cent of the population in 2016. Across the globe, a vast demographic change is unfolding with sweeping consequences: the rise of one-person households. Statistics Canada released new census data in August showing that households composed of just one person are at an historic high, accounting for 28.2 per cent of all households in Canada – the biggest share since Confederation in 1867. 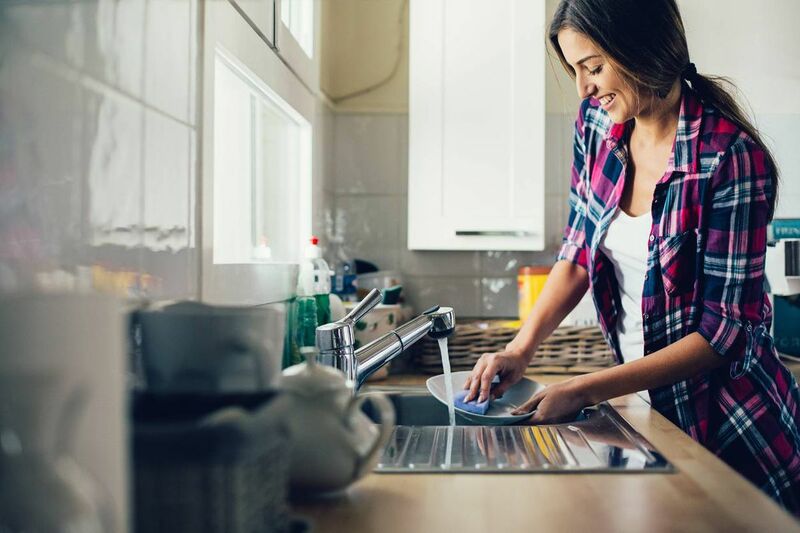 The "one-person household" is now the most common type of household in Canada, surpassing families with children, couples without children and multigenerational families. What does this shift mean for Canadians and their financial planning? We take a look at four big implications. The rise of one-person households in Canada mirrors developments around the world, as the proportion of people who live alone has grown steadily. Demographer Joseph Chamie, who spent a quarter of a century studying population patterns at the United Nations in New York, points to worldwide trends which show that in at least 25 developed countries, single-person households are more numerous than two-parent households with children. In some of those countries, including Estonia, Finland, Germany and Japan, the proportion of one-person households is approximately double that of couple households with children. Canada's percentage of one-person households is similar to that of the United States (27.5 per cent in 2012) and Britain (28.5 per cent in 2014), but lower than that of many other industrialized nations. This could mean that if Canada follows the trend in other developed countries, the move to one-person households will continue. While you might expect to see people living alone as young adults (after leaving the family home, but before forming families of their own), and toward the end of life (as one member of a couple predeceases the other), the new reality is that a growing number of adults in Canada are single at all ages. Statistics Canada tracks adults who have never married, whether or not they live alone. Data comparing the 30-year period from 1981 to 2011 show dramatic increases in the "never married" category. For example, in 1981 just 10.5 per cent of women aged 30 to 40 said they'd never been married, jumping up to 43.4 per cent (an increase of more than 300 per cent) by 2011, with men in the same age category moving from 15 per cent to 54 per cent over the same period. In 1981, women ages 50 to 54 were least likely to have never been married, with just 6 per cent falling into that category, but that increased more than 1.5 times by 2011 to 15.4 per cent (with the proportion of never-married men ages 50 to 54 also increasing by 1.5 times over the same period, from 7.8 per cent to 20.1 per cent). The insight? Over the past few decades, the proportion of solo adults is rising across all stages of the life cycle, and is not limited to the younger and older ends of the adult spectrum. Demographer Mr. Chamie suggests that one-person households tend to be more vulnerable "and therefore more costly to society" than people living with a partner or in a multigenerational family. "With a single and often limited source of income, one-person households are more precarious, with lower median household incomes," and they "also may be more constrained in saving for retirement, meaning they may require more financial assistance in the future." This finding is borne out in data from Statistics Canada about Canadians with low income (tracked using a statistical measure called the low-income cut-off). While the rate of low-income Canadians was 8.8 per cent for the country as a whole in 2011, it was more than three times greater, at 27.7 per cent, for those living alone. These rates persist into retirement: The rates of low income are 5.2 per cent for all households over 65, but more than double (at 14.9 per cent) for those over 65 and living alone. Over the past 60 years, the shape of the Canadian household has changed. In 1951, less than one in 10 households (7.4 per cent) were composed of one person, compared to the 2016 rate of nearly one in three (28.2 per cent). Looking at it another way, just 1.8 per cent of Canadians over 15 lived alone, compared with 13.9 per cent of the population in 2016. Whether this pattern continues or not, today the one-person household is the norm in Canada. What are the effects for financial planning? Certified financial planner Roxanne Eszes, who develops continuing education courses for certified financial planners and life insurance agents, notes that single people face unique financial planning challenges because their well-being relies on a single income. "A single client may have less family infrastructure in place for support [physical or financial] in the event of illness or disability, so risk management in terms of critical illness or long-term care insurance may be of importance to them. Their estate planning objectives are typically different from clients who have children and spouses to support following their deaths. And they may have fewer tax planning opportunities in terms of income splitting or family-related tax credits or deductions." David O'Leary, a chartered financial analyst and founder of Kind Wealth, a financial planning firm targeting younger professionals, adds that single-person households may be "excluded from financial planning opportunities" simply because they are less likely to encounter life events that require money management – such as marriage, the birth of a child, and divorce – than people who are part of a couple. And because financial planning advice and strategies can have a disproportionate impact at earlier ages, compared with later ages, single people may delay taking financial planning steps, such as setting up retirement savings accounts, compared with their peers in family households. Finally, people who are single may have reduced social networks, meaning they have fewer opportunities to get informal support in the financial aspects of life: "If you're married, and you're not a 'money person,' your spouse may take on that role, or you may be able to reach out to your spouse's family or parents. As a single adult, there may be fewer people in your social circle upon whom you can rely for support and advice." This emergent new norm has implications for planning professions, as well as public-policy assumptions based around "families." Statistics Canada says that "census data help governments respond to changes in the lives of Canadians." For government policy, the shift to one-person households – if it continues – will likely have repercussions for social and financial supports at all ages, as well as for retirement-age expenditures such as long-term care and income supports for people over 65. It could also change the distribution of programs like the Canada Pension Plan, compared with previous decades. As society reorganizes around the new demographics, the demands of the shrinking household will need to be accommodated.